Our Blog: Come read more about us! In October 2017, The Academy for First Aid and Safety will transition from a physical wallet card based certification to a digital certification. 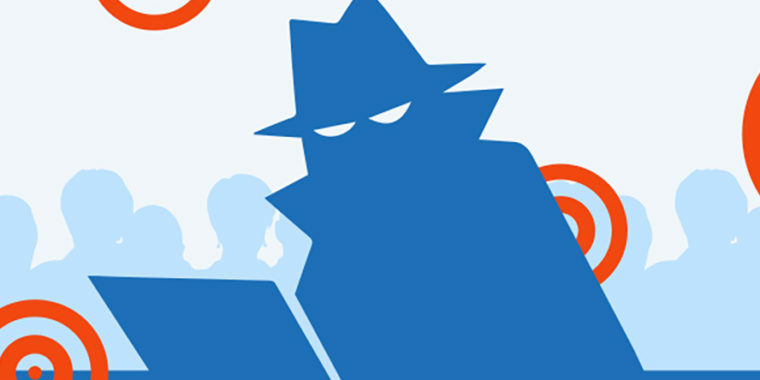 Each certification will have a unique serial number in which the student can verify its validity. Furthermore, the student would not need to pay for a replacement card anymore since it is in digital format and is stored on the student’s phone, computer, and the Canadian Red Cross’ mobile app. In order to remain in compliant with Regulation 1101 of the Workplace Safety Insurance Act with keeping proper records of all certifications, our academy (who is in partnership with the Canadian Red Cross Society) will implement these changes. 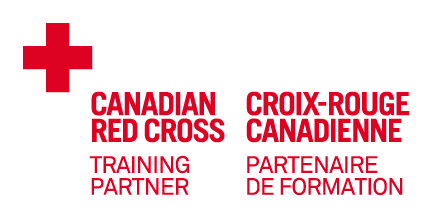 This will be a national wide change and every Canadian Red Cross training partner will undergo the same transition, regardless of which Canadian Red Cross training partner you obtain your certification from. What will this mean for all students who take a first aid and / or CPR course from our Academy? A physical wallet sized card will no longer be issued. Instead, a digital card will be e-mailed to your inbox. If you lose your certification, there would be no need to make a payment to obtain a replacement card. A paper copy of the first aid and CPR training booklet that you would traditionally receive at our classes will be replaced by a digital copy sent to your e-mail. The digital booklet can also be accessed through the Canadian Red Cross Society's mobile app. Should you require a paper copy of the first aid and CPR booklet, they will be available for purchase for a small fee of $7.00. Every digital certification will contain a unique serial number which can verify your certification's authenticity and personal details. With the upcoming changes to the way we issue Canadian Red Cross certifications, we look forward to delivering you high quality, fun, and interactive first aid and CPR training programs in the greater Toronto area. We anticipate that these changes will simplify the way certifications are held, stored, and retrieved in the unfortunate event of it becoming lost or stolen. Delivering interactive, fun, amazing, and first aid and CPR training courses! In the province of Ontario, only WSIB approved first aid providers are considered acceptable for employment and educational purposes. No first aid and CPR courses taken solely on-line is approved. There must be an in-class practical component in order for the first aid to be acceptable. “We get students come to our academy all the time with the same problem: They pay money to obtain first aid and CPR certifciation solely on-line, only for their employer or school to reject the certification because it does not meet the needs of approved first aid and CPR,” says Kien Hoang, a first aid and CPR instructor from the Academy For First Aid and Safety of Toronto: A Canadian Red Cross training partner headquartered at 2428 Islington Avenue, Unit 17. Students need to be aware that the first aid and CPR certification they need to obtain must be on the list of approved first aid trainers, as listed on the Ontario WSIB website. 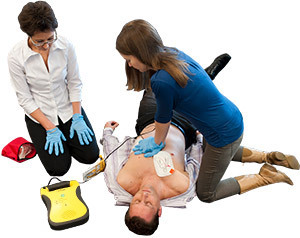 Blended on-line + in-class first aid and CPR available by the Canadian Red Cross! The Canadian Red Cross, in partnership with the Academy For First Aid and Safety of Toronto offers a unique blended learning experience where students would be able to obtain their standard first aid and CPR certification in just 1 day in-class. This is made possible by learning an on-line component prior to attending the classroom. By offering a blended on-line + in-class version of the course (which typically used to be 2 days of in-class training), students can now spend less time in a classroom and more time on the job or at school! As always, our blended on-line + in-class first aid and CPR courses fully meet the WSIB requirements for approved first aid and CPR. How does the blended on-line + in-class standard first aid course work? Student registers for the standard first aid and CPR course. After successful registration, student will get an e-mail from the Canadian Red Cross’s campus website with the PIN code to start their on-line component right away. This takes on average 4-6 hours to complete, depending on how fast you learn. This is an overview of what to learn in the in-class component. After completing the on-line component, a certificate is generated which states that student has completed the on-line component of the standard first aid and CPR course. It is highly recommended that you print this certificate and bring it to your class to show the instructor, but not necessary. Your instructor can check on-line to verify that you have completed your in-class component. Please note that you MUST complete your on-line component prior to commencing your in-class component! Attend your 1 day in-class first aid and CPR course. 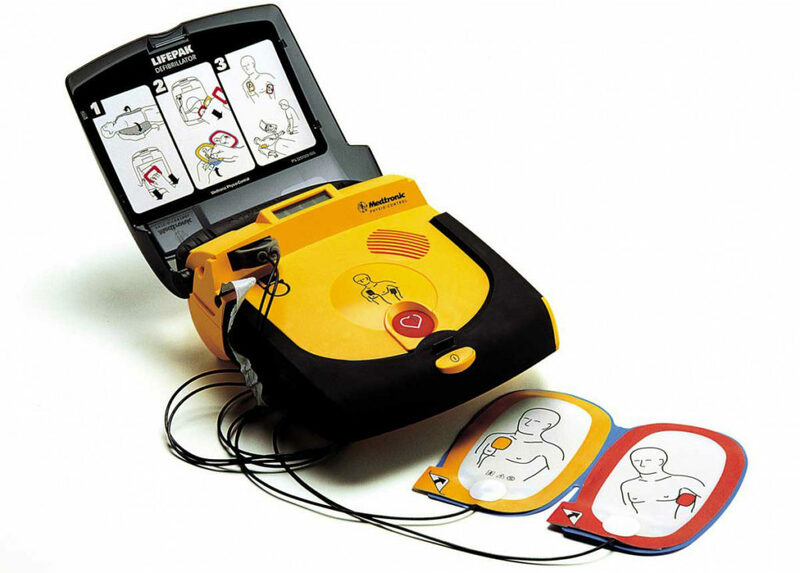 Upon successful completion of the course, you will receive your standard first aid and CPR certification at the end! The blended on-line +in-class standard first aid and CPR course that The Academy For First Aid and Safety is a fantastic blended first aid course which allows everyone to obtain their certification in just one day! Spend less time in a classroom and more time on the job! For complete information about the blended first aid and CPR courses we offer in Toronto, please visit our course selector page. The Academy For First Aid and Safety is an authorized and approved training partner with the Canadian Red Cross. We deliver WSIB compliant and approved first aid and CPR courses in Toronto. 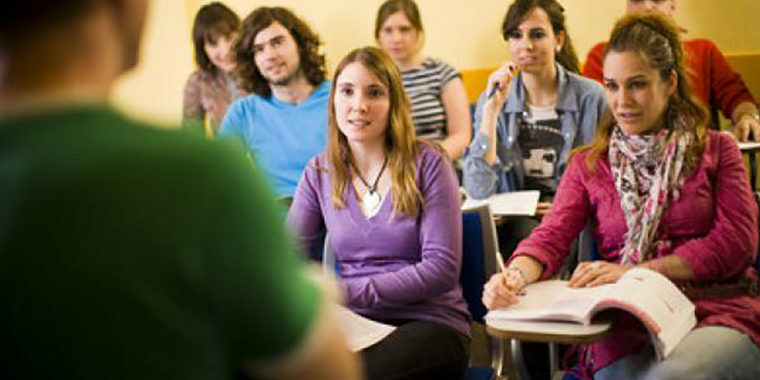 For more information about our courses, please visit www.academyfor1staid.ca. It’s official: The Academy For First Aid and Safety of Toronto located at 2428 Islington Avenue is the first and only first aid training facility in the greater Toronto area to employ EVA foam flooring, making it extremely comfortable for students to perform CPR exercises. Ethylene vinyl acetate (or EVA in abbreviation) is a 1/2 inch thick piece of soft foam and is commonly used in gymnasiums, rec centres, and martial arts training centres. The Academy For First Aid and Safety of Toronto decided to incorporate EVA foam flooring after feedback from students who complained that the hard tiled flooring was hard on their knees when performing CPR exercises on the ground. We listened to our students and as a result, we went the extra mile, bypassing traditional carpeting in favour of a more luxurious EVA foam flooring for maximum comfort when performing ground exercises, such as CPR compressions. 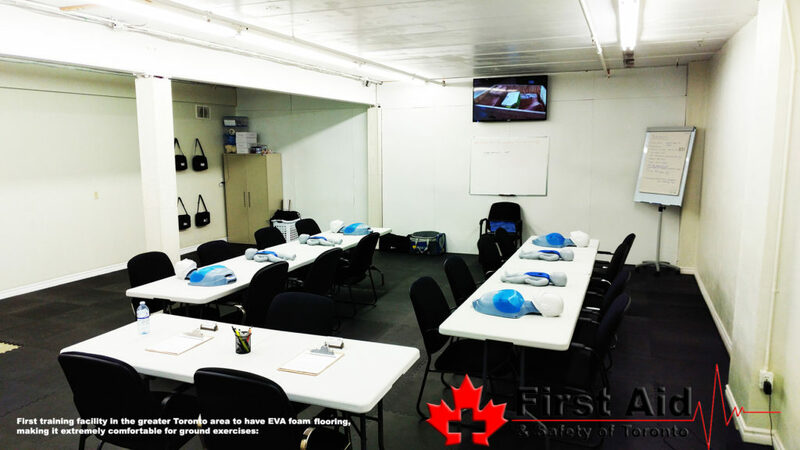 The Academy For First Aid and Safety of Toronto is extremely proud to be the first and only first aid training centre in the greater Toronto area to have EVA foam flooring at a facility which is 100% completely owned and operated by the business itself. The academy does not rent out temporary rooms by the hour or day, and the future is bright to expand to more locations and have EVA foam flooring at all of our facilities. This is just another example of why you should choose The Academy For First Aid and Safety for your first aid & CPR training needs! Book a class now to see why! Beware of phantom first aid & CPR training providers! Beware of uncertified and non WSIB compliant first aid training! When choosing a training provider for your first aid and CPR certification needs, it is crucial for everyone to do a little research about the training institution prior to paying for any course. In Ontario, employers are bound by safety rules and regulations from both the Ontario Safety Association (or OSA) and the Workplace Safety Insurance Board (or WSIB) to provide adequate first aid training by a certified training provider, as outlined in the Workplace Safety Insurance Act of Ontario. What type of first aid certification does WSIB require employees and employers to hold? The Ontario Workplace Safety Insurance Board (WSIB) requires all employees to possess valid first aid and CPR from a WSIB APPROVED FIRST AID TRAINING PROVIDER. So how do we know which training provider is approved by the WSIB? The WSIB has a link that shows all the approved WSIB training providers found by clicking on their approved list of training providers to deliver emergency and standard first aid & CPR. As you can see from the list, the Canadian Red Cross is approved Provincial wide, and The Academy for First Aid & Safety is a Red Cross training partner. Also, our training partner status can be verified by visiting the Canadian Red Cross’ website. Rest assured, your first aid certification obtained by our academy is recognized, valid, and approved certification that is complaint with both the WSIB and OSA. Unfortunately, there are many so called “phantom” first aid training providers that provide to the general public first aid and CPR training programs. The course fees are generally lower due to the fact that they are not WSIB compliant. Although they can be as comprehensive as WSIB approved training providers, the end result is a first aid certification card that is non-compliant with the WSIB and OSA. In the event of an on-site surprise audit by the WSIB, OSA, or both, if the employer and all their employees have been found to carry non-compliant first aid training, fines can be levied against the employer for failing to provide adequate first aid training as per Regulation 1101 from the Workplace Safety Insurance Act. What’s worse, if there was ever an injury at the workplace and the WSIB decides to inspect the accident scene and discovers that employees have non-WSIB compliant first aid training, this could spell legal trouble when it comes to WSIB injury claims against the employer. Always refer to the approved WSIB training provider's list. Check their status with the head office. Ask questions! Call and do some research. Remember, your training has to be WSIB approved!